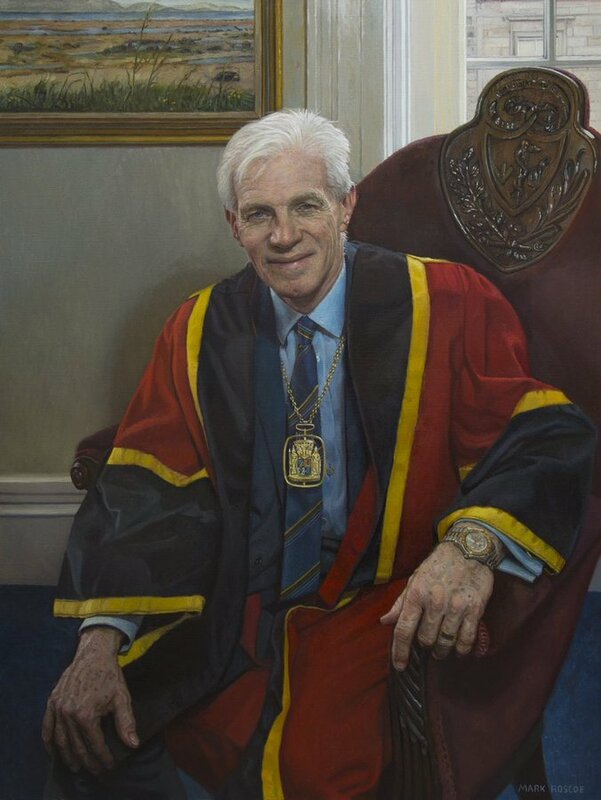 Portrait of Professor Galloway. Three quarter length, seated on the President's chair in his office. "Coastal Scene (Arran From Ayrshire)" by Molly Addis in the background. 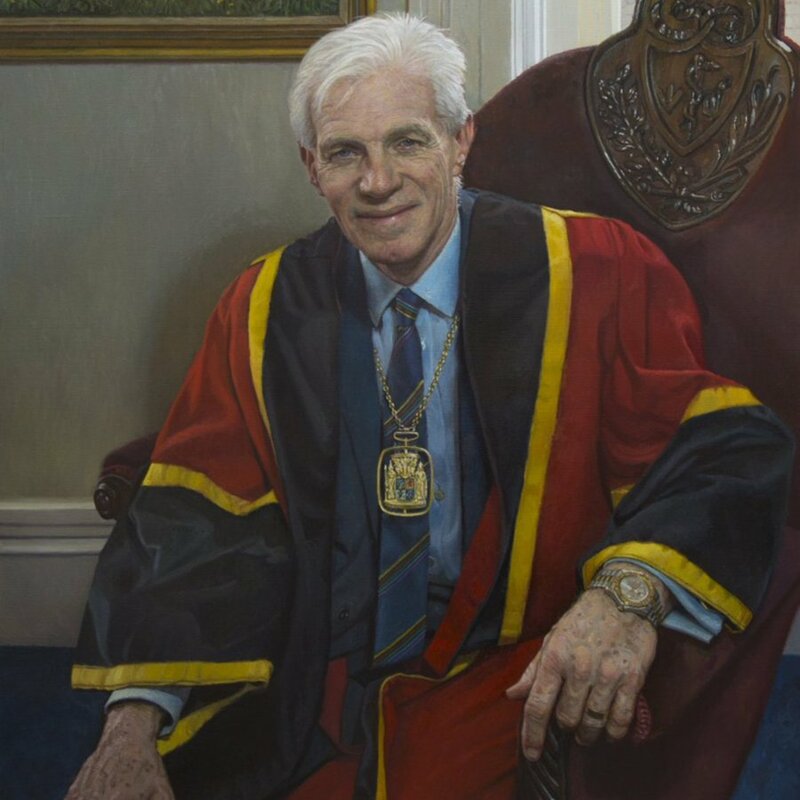 Roscoe; Mark (1974-); artist, “Portrait of Professor David Galloway, President 2015-2018,” Heritage, accessed April 20, 2019, https://heritage.rcpsg.ac.uk/items/show/946. Description: Portrait of Professor Galloway. Three quarter length, seated on the President's chair in his office. "Coastal Scene (Arran From Ayrshire)" by Molly Addis in the background.